What does it mean to move beyond the boundaries of what we believe? 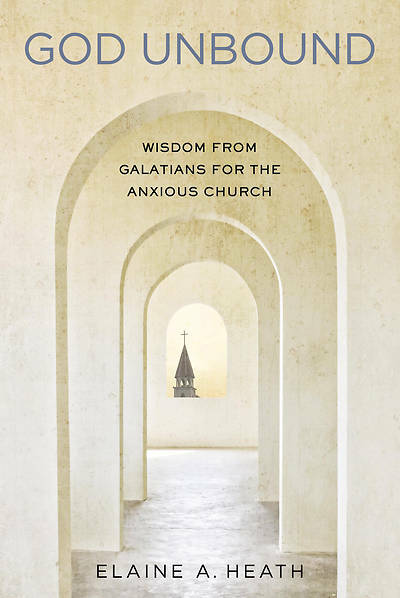 The apostle Paul led the Galatians through a massive cultural shift in which they had to radically expand their ideas of who God is, who they were, and God’s mission for the church. He was able to lead them through this time of great change because of his encounter with the risen Christ on the Damascus road, an experience in which his view of God was completely upended. Today Christianity is undergoing a cultural shift just as challenging as the situation confronting Paul and the Galatians. As many churches decline, congregations and pastors feel uncertain and anxious about how to continue their mission of making disciples of Jesus Christ. Elaine Heath extends an invitation to broaden our view of God by moving beyond the walls of buildings and programs to become a more diverse church than we have ever imagined. While deeply honoring tradition, she calls the church to boldly follow the Holy Spirit’s leadership into the future. Ideal for a 6- to 9-week small-group study.